“On Display” ©2015 PJ Cook, oil on gessoboard. 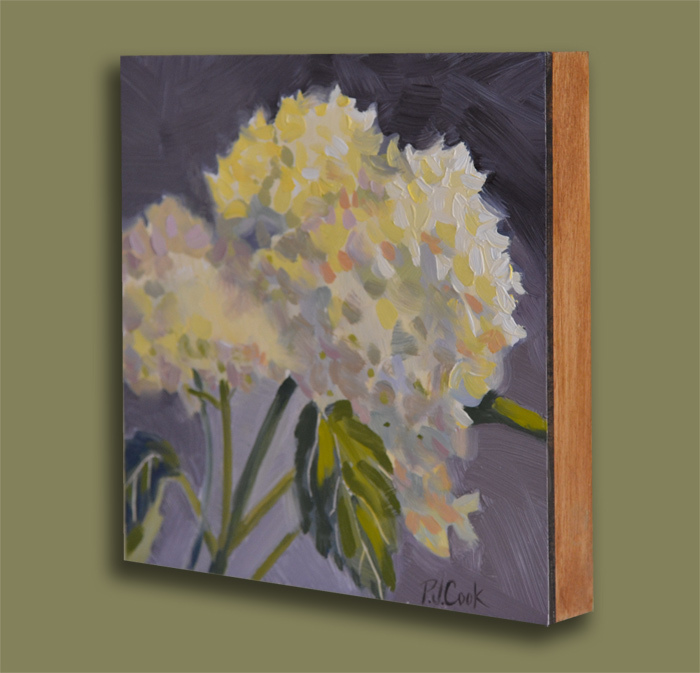 Todays painting features hydrangea flowers in oil paint on a raised panel. 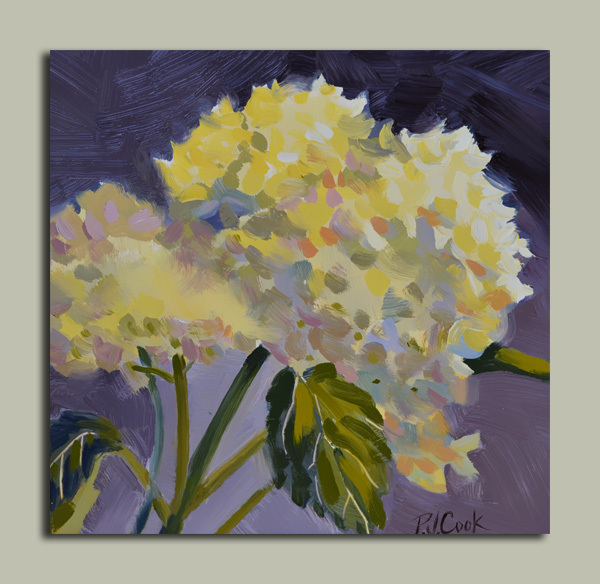 Completed in one sitting this 6×6 original oil painting has creamy white flowers with mauve greys, greens and yellows. This 6×6 oil on gessoboard has a 1″ raised panel with a golden oak stain on the sides so this can be hung on a wall as is or if you like the look of a frame it can also be inserted in a picture frame. Hydrangea flowers can be a challenge to paint because of the hundreds of tiny flowers that make up the larger bouquet. Simplifying the tiny buds is necessary to complete this painting in one sitting. Medium – oil on gessoboard.